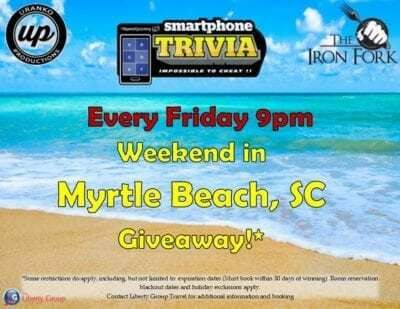 Smartphone Trivia – Every Friday at 9pm at The Iron Fork! *Some restrictions do apply, including, but not limited to: expiration dates (Must book within 30 days of winning). Room reservation blackout dates and holiday exclusions apply.